The objective of the course: The overall aim of the course is to learn and reflect upon multidisciplinary and multi-theoretical research approaches to governance in the context of the High North: what are implications for Arctic private and public sector. This course will focus on the particular ‘level’ of governance associated with a type of organization (including, e.g. public governance, global governance, and corporate governance). Firstly, we identify the nature of the concept itself. Secondly, we consider it in the framework of the relevant theories, and then the different examples of implications of the governance are discussed. 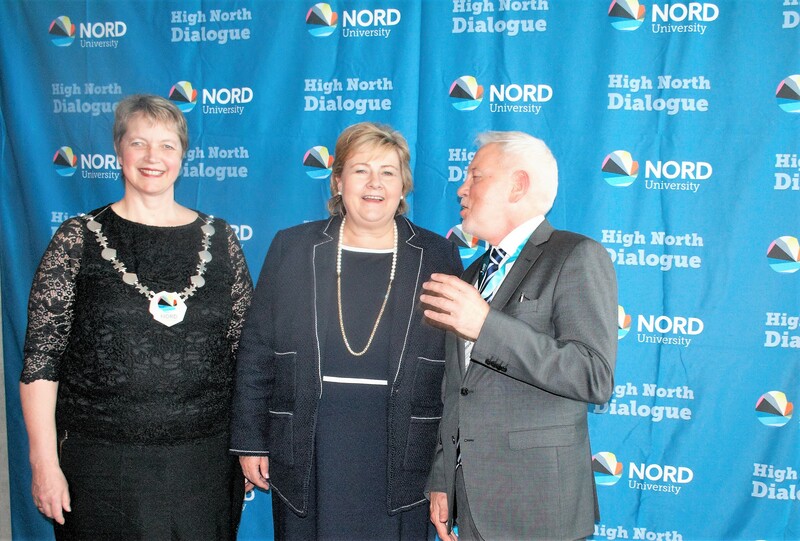 Participation at the conference “High North Dialogue Conference” will give an exemplification of the governance issues in the context of the High North. At the scenario workshop, students will learn about different methodologies for scenario building and will be working in multidisciplinary groups on scenario topic relevant for the High North Dialogue conference. Governance is a broad issue that is addressed, analyzed, and understood in diverging ways. The literature on governance has a long tradition and embraces disciplines ranging from public administration, planning, policy sciences, to economics. This course will give an overview of governance and how to reflect upon it in the different contexts. The governance concept refers to the creation of a structure or order “which cannot be externally imposed but is the result of the interaction of a multiplicity of governing and each other influencing actors” (Kooiman and van Vliet, 1996). Governance is concerned with creating conditions for the ordered rule and collective action (Stocker, 1998), which in turn leads to the “creation, reinforcement, or reproduction of social norms and institutions” (Hufty, 2011). The theoretical reflection upon governance will be considered by stakeholder theory, legitimacy theory, institutional theory and studies of governmentality. The course seeks to directly contribute to furthering the development of students own research theses/dissertations, deepen their knowledge of the subject and facilitate their methodological preparedness. Participants: The course is offered on a PhD-level from various fields (e.g. business studies, economics, public administration, political science, resource management, social science, etc.). It is relevant for students at any stage of their PhD project who are dealing with governance issues. The participators can be using diverse research methodologies. Assessment methods and criteria: It is an intensive course. The individual study required before and after meeting in Bodø. The course foresees obligatory participation and integrates lectures by experts in the field, participation in the scenario workshop, presentations and discussions of the course literature by the participants. Students are supposed to present and participate in exercises individually and in groups. PhD student will need to submit the mandatory individual assignment. The paper, not more and not less than 12-15 one- spaced pages in length (excluding front page, content, appendix, and a list of reference) with size 12 font Times New Roman and 2 cm margins is to be submitted within one month of the conclusion of the course. There will be a passed/not passed for all papers. Costs: The course fee, the conference fee, and meals during the events will be covered by the Nord University Business School. Students cover visa, travel and accommodation costs themselves. We can advise and book accommodation at student hostel for those who are interested, costs are 400-500 NOK/per night/ per person. Accommodation grant: A limited number of hotel grants is provided. Accommodation is at a youth hotel, located in the center of Bodø, in rooms for two people. For applying for accommodation grants, students are asked to send a motivation letter describing their motives to take part in the course in light of their academic/professional achievements and personal interest to the issues of the High North. Those applying for grant should deliver full packs of documents including motivation letters before February 01, 2019. How to apply? In order to apply to the course, you are reqiured to send an application form together with a number of qualifing documents as listed in the form. The deadline to apply is February 1, 2019. Hufty, M. (2011). Governance: Exploring four approaches and their relevance to research. Research for Sustainable Development: Foundations, Experiences, and Perspectives, 165-183. Djelic, M.-L. & Sahlin-Andersson, K. (2006). A World of Governance: The Rise of Transnational Regulation, in Transnational Governance: Institutional Dynamics of Regulation, Cambridge University Press, Cambridge, pp. 1-28. Freeman, R. E. (2004). The stakeholder approach revisited. Zeitschrift für Wirtschafts-und Unternehmensethik, 5(3), 228-241. Foucault, M. (1991). Governmentality, in G. Burchell, C. Gordon & P. Miller (eds), The Foucault Effect: Studies in Governmentality, University of Chicago Press, Chicago, pp. 87-104. Mahadeo, J. D., Oogarah-Hanuman, V., & Soobaroyen, T. (2011). Changes in social and environmental reporting practices in an emerging economy (2004–2007): Exploring the relevance of stakeholder and legitimacy theories. Accounting Forum, 35(3), 158-175. Lemke, T. (2007). An indigestible meal? Foucault, governmentality and state theory. Scandinavian Journal of Social Theory, 8(2), 43-64. Osborne, S. P. (2006). The New Public Governance? Public Management Review, 8(3), 377- 387. Nasi, J., Nasi, S., Phillips, N., & Zyglidopoulos, S. (1997). The Evolution of Corporate Social Responsiveness. An Exploratory Study of Finnish and Canadian Forestry Companies. Young, O. R. (2010). Arctic governance—pathways to the future. Arctic Review on Law and Politics, 2, 164-185. Xue, L. (2012). The Shifting Global Order: A Dangerous Transition or an Era of Opportunity? Fordham Urb. LJ, 28, 1611-1674. Spence, J. (2014). Strengthening the Arctic Council: Insights From the Architecture Behind Canadian Participation. Northern Review, (37). Stokke, O. S., & Hønneland, G. (Eds.). (2006). International cooperation and Arctic governance: regime effectiveness and northern region building. Routledge. Amer, M., T. U. Daim and A. Jetter (2013). A review of scenario planning, Futures, 46, 23-40. Overland, I., Bambulyak, A., Bourmistrov, A., Gudmestad, O., Mellemvik, F. and Zolotukhin, A. (2015). Barents Sea Oil and Gas 2025: Three Scenarios in A. Bourmistrov, Mellemvik, F., Bambulyak, A., Gudmestad, O., Overland, I. and Zolotukhin, A. (eds) International Arctic Petroleum Cooperation: Barents Sea Scenarios, Chapter 2, Routledge Studies in Environmental Policy Series, Routledge. AMAP, 2017. Adaptation Actions for a Changing Arctic: Perspectives from the Barents Area. Arctic Monitoring and Assessment Programme (AMAP), Oslo, Norway. Crépin, A.-S., Karcher, M. and Gascard, J.-C. (2017). Arctic climate change, economy and society (ACCESS): Integrated perspectives, The Royal Swedish Academy of Sciences. Angelidou, M. (2014) Smart city policies: A spatial approach, Cities, Volume 41, Supplement 1, July 2014, pp. S3-S11. Kummitha, R. K. R. and Crutzen, N. (2017) How do we understand smart cities? An evolutionary perspective. Cities, Volume 67, July 2017, pp. 43-52.